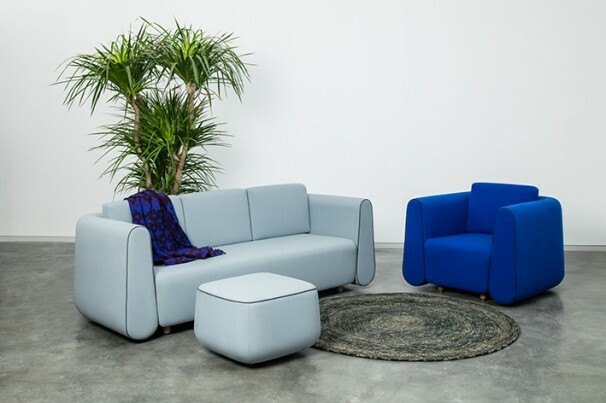 Hanfu, designed for furniture brand Noord, is inspired by the traditional Asian garment (HanFu, Hanbok, Gofuku). These garments are know for the simplicity of their rectangular patterns and how these create a characteristic profile when worn. referencing this historical style of garment in a contemporary way. It applies various textures in volume, each adjusting to different shapes with subtle variations in colour, which in combination with quality upholstery of the Scottish mill of Bute Fabrics makes this furniture of high tactile comfort.